Boys Varsity Cross Country, Girls Varsity Cross Country · Oct 31 AG Runners will compete in State Meet! 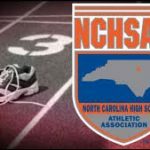 Halei Ward and Eli Dawson will compete at the NCHSAA Cross Country Championships on Saturday at the Ivey M. Redmon Sports Complex, Kernersville, NC. The 2A Girls will run at approximately 3 pm while the boys will run at approximately 4 pm. I wish both the best of luck as they drive for a State Championship! The Ayden-Grifton Cross Country teams will be running in the Eastern Regionals this Saturday at Washington. The Boys race will begin at 10 am and the girls will begin at 11 am. Please go out and support our runners as they chase a State Championship! Boys Varsity Cross Country, Girls Varsity Cross Country · Aug 31 Cross Country takes 1st Meet! There will be a Cross Country team meeting in the aux. gym at 9 am on Wednesday August 10th. All students interested in running this fall need to be there and you must have a valid physical.